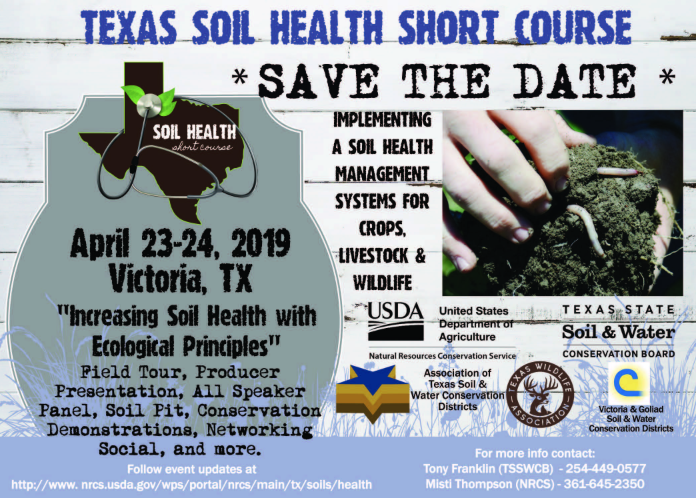 Attendees will learn how to improve their land management and agricultural operations through hands-on field activities and educational workshops. Farm and ranch tours will be Tuesday, April 23 followed by an educational workshop on Wednesday, April 24. Registration closes April 5. Click HERE for the complete schedule and registration information.